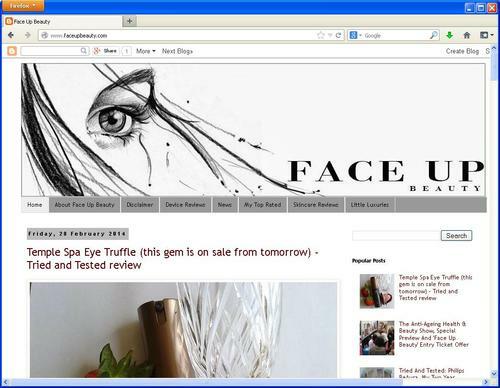 (March 6, 2014) Face Up Beauty, the new beauty blog targeted at the growing number of people interested in anti-ageing, will unveil a new-look site this week, two months after its soft launch. The changes include a new logo and branding, as well as a new colour scheme and additional features to make it easier for readers to locate posts on particular products that may interest them. 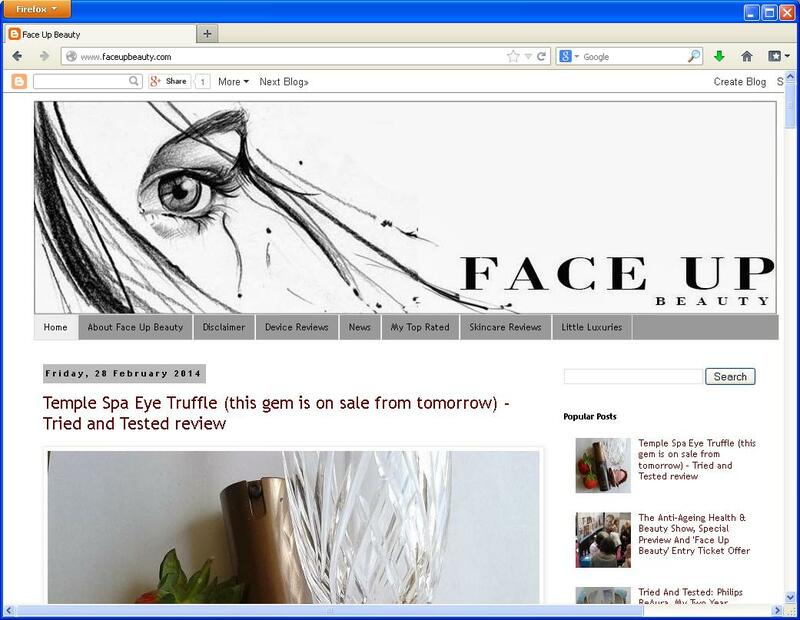 Welcome to Face Up Beauty, a brand new blog throwing a spotlight on luscious skincare and at home beauty gadgets. Not another beauty blog I hear you cry? Well, yes and no. Yes it is a blog about beauty but it won’t cover pure makeup, or fashion or style. My blog is all about sticking to what I know most about – rejuvenating skincare and at home beauty devices (plus an occasional word or two on other little beauty luxuries that make life a tiny bit sweeter).